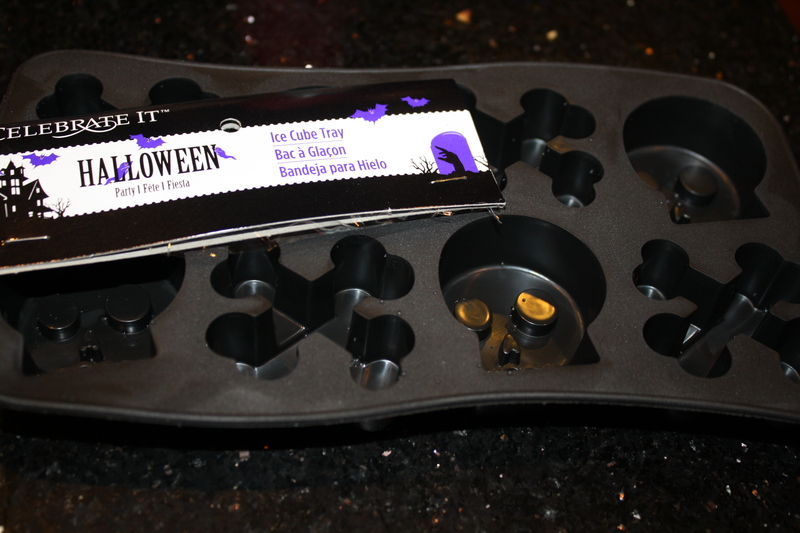 There are all kinds of Halloween mold pins on the boards. 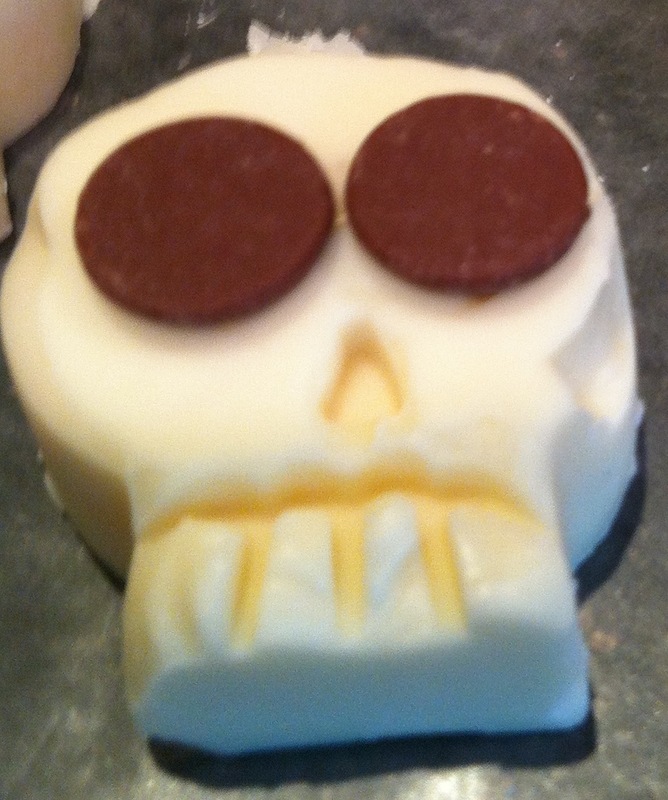 The other day, I was in the store and I came across a silicone ice-cube tray that I thought would work really well with white chocolate. 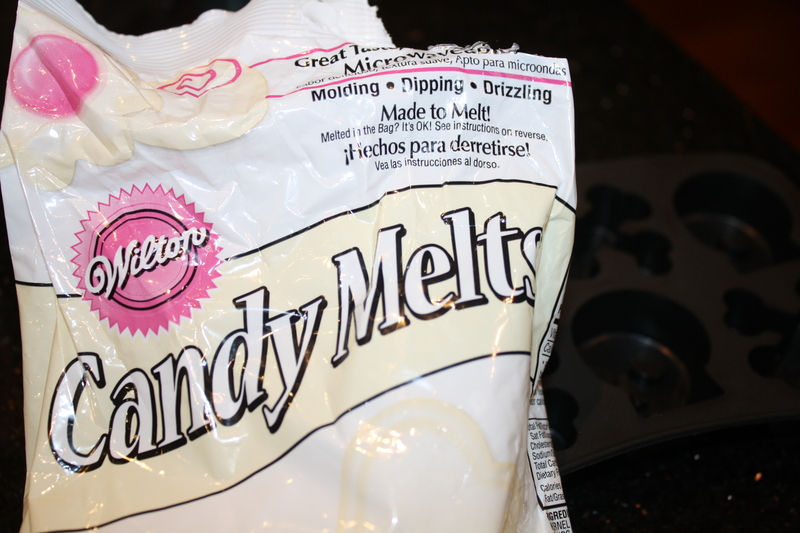 For these I used Wilton white candy melts. They melt very easily and harden quickly. If you melt them in the microwave, you have to be careful not to burn them. 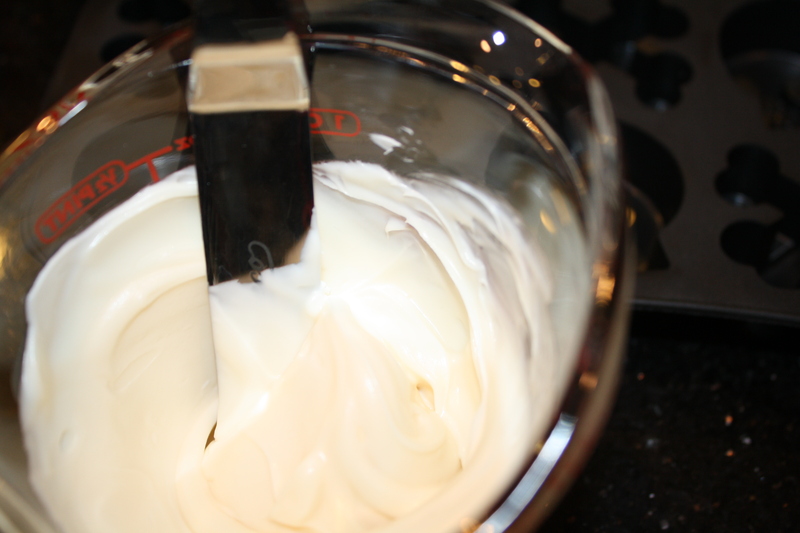 I filled a measuring cup and nuked them at 30-second intervals on half power until they were almost pourable, about a minute and a half in all. and refrigerated for about an hour. 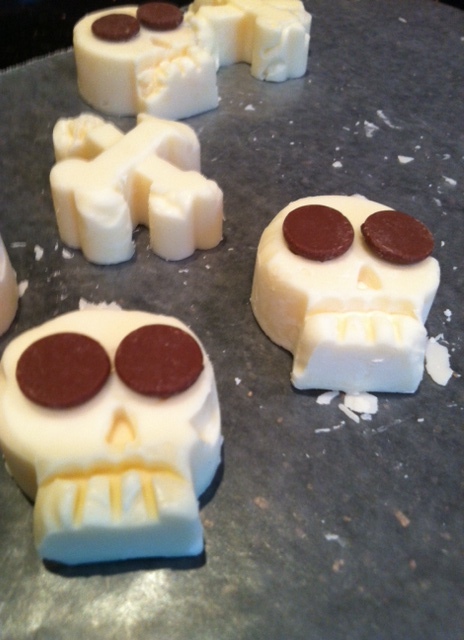 Using mild chocolate chips, the eyes on the skulls gave a spooky effect. 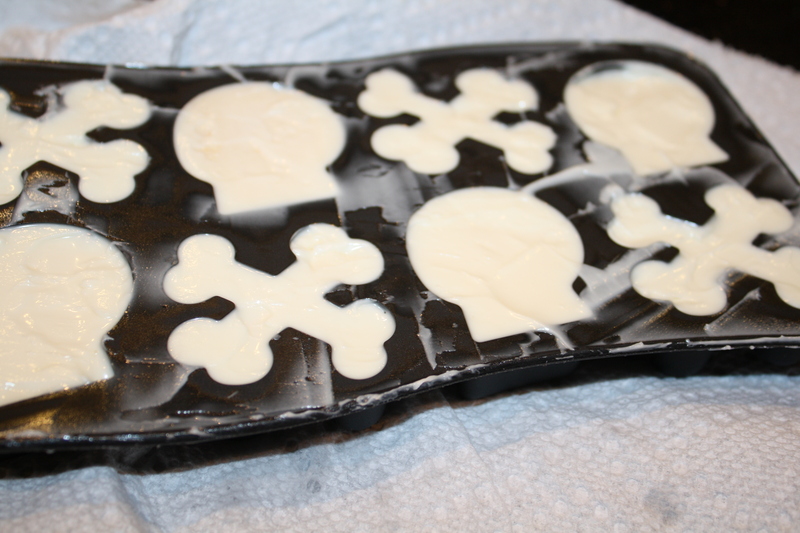 The molds didn’t set perfectly the first time I did them, but I thought it kind of adds to the decrepit look of the bones. ← Then Again, Maybe It’s Just My Negative Attitude.